With many centres now charging more than $100 a day, childcare costs rose faster in Brisbane than in Sydney, where fees jumped 5.8 per cent compared to a national average of 6 per cent. DAYCARE teachers are demanding a $32,000 pay rise, despite childcare costs soaring three times faster than inflation in the past year. If the pay demand is accepted parents will face up to $6 a day per child in extra costs. Childcare fees rose an average of 6.5 per cent across Brisbane during 2017/18, the Australian Bureau of Statistics (ABS) revealed yesterday. The hip-pocket pain for parents is set to worsen as daycare teachers demand equal pay with school teachers, at a two-week Fair Work Commission (FWC) hearing to start in Sydney today. Pay parity would give Queensland childcare staff a pay rise of between $15,794 and $32,559 a year. Australian Childcare Alliance Queensland general manager Brent Stokes yesterday warned parents could be slugged up to $6 per day extra to pay for the wage rise. "They're asking for up to a 59 per cent increase overnight for early childhood teachers,'' he told The Courier Mail yesterday. 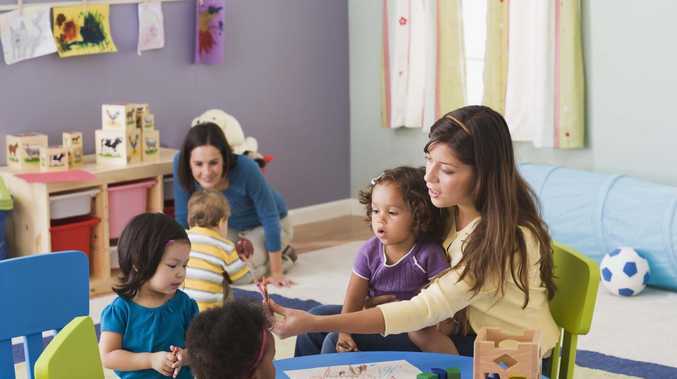 The Independent Education Union (IEU) will argue that most daycare teachers are women whose "mothering'' work is undervalued. It says early childhood education teachers, who have similar university qualifications to primary school teachers, should be paid as much as male engineers or school teachers. "Early childhood teaching, particularly in long day care centres, has suffered from a lower status than primary school teaching, due to a historical view … that the task is one of caring rather than teaching, and involves the exercise of an inherent feminine attribute rather than professional skills,'' the union has told the FWC. Queensland prep teachers in schools instruct groups of up to 25 students per class, with the help of a teacher aide, but daycare centres must employ one teacher for every 11 preschoolers. Early childhood teachers and school teachers must complete a four-year education degree. The starting salary for school teachers is $69,364, compared to $52,438 for early childhood educators in daycare centres. Experienced classroom teachers earn up to $100,400 a year, compared to $71,708 for daycare teachers. 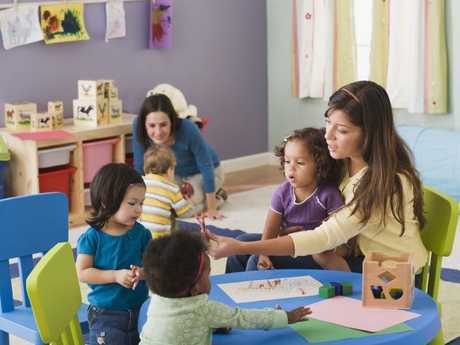 The union wants daycare centres to pay $68,232 to beginner teachers and $101,767 to experienced staff. In February, the FWC threw out a similar claim for a 35 per cent pay rise from daycare staff with certificate or diploma qualifications. The full bench of the FWC ruled that unions had failed to show evidence that gender inequality had led to the underpayment of childcare workers.